While the waiting game for our baby boy to arrive is going stronger than ever, I am no longer hopping from one meeting to another event and am spending most of my days safely behind my desk, ready to welcome our newest family member any minute. Days at the office do not require dolling up with a lot of make-up but as I am dealing with some impurities due to my pregnancy, I am facing quite a lot of moments in the morning where I feel the need to apply some foundation, just to feel comfortable in how I look and how I present myself during the rest of the day. Today I decided to share my step by step routine for full coverage and flawless looking skin. 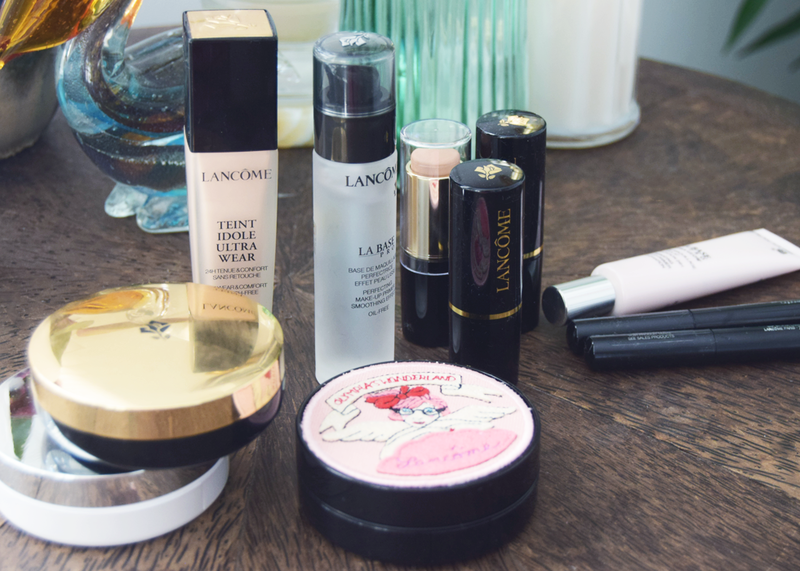 Lancôme is always at the top of my favorites list so I've gathered all my must haves from their collections. Next you'll find an in depth look at my daily foundation routine. Always always always start off with a clean face! After cleansing my make-up routine begins with the Lancôme LA BASE PRO Perfecting Makeup Primer, an oil-free primer for a smooth and radiant canvas with a refined texture. It not only visibly reduces imperfections but make-up also glides on more seamless and stays more true all day. 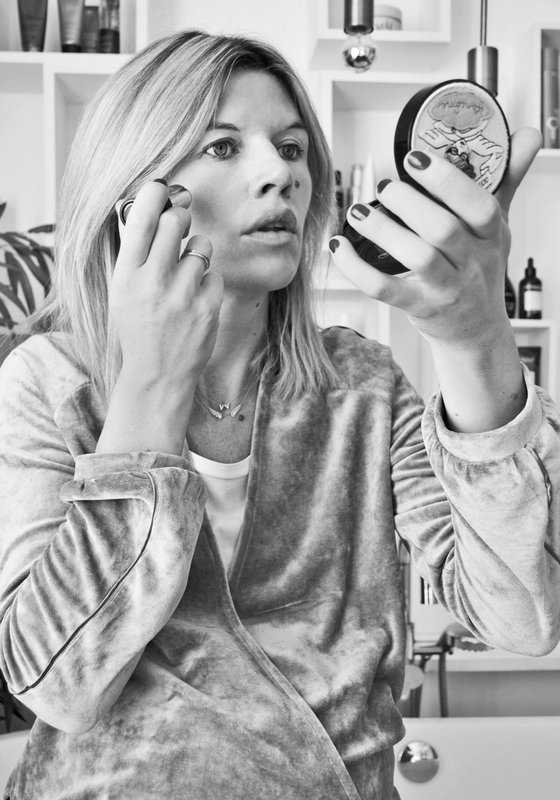 As far as my make-up goes I'm a big fan of quick and easy products and so I have grown a remaining love affair with the Lancôme cushions, both the foundations, blushes and highlighters. The Teint Idole Ultra Longwear Cushion Foundation in color '02 Beige Rose' is by far the n°1 workhorse in my make-up bag. It gives buildable long-wear coverage and refreshing hydration. It is my ultimate trick to a glowing complexion and even skin tone, lightweight and always natural-looking. 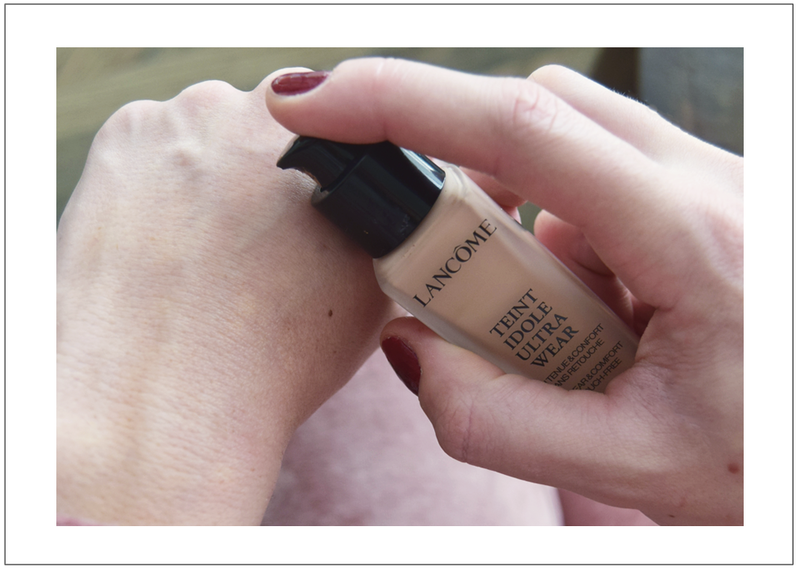 When in need of some extra strobing with lighter or darker tones on certain areas, I am using the Lancôme Teint Idole Ultra Long Wear Foundation. It leaves a mattified yet natural result which is guaranteed to stay all day. If you're looking for a miracle worker freshening up your face anytime anyplace, look no further than the Teint Idole Ultra Longwear Foundation Stick. For touch-ups on the go I have one in my handbag 24:7 but am using in the morning as well, for those areas where I need just a tiny bit more coverage for my imperfections. It comes with a extreme long-wearing oil-free formula blending smoothly and helping reduce the appearance of redness which makes it ideal to use as a concealer. 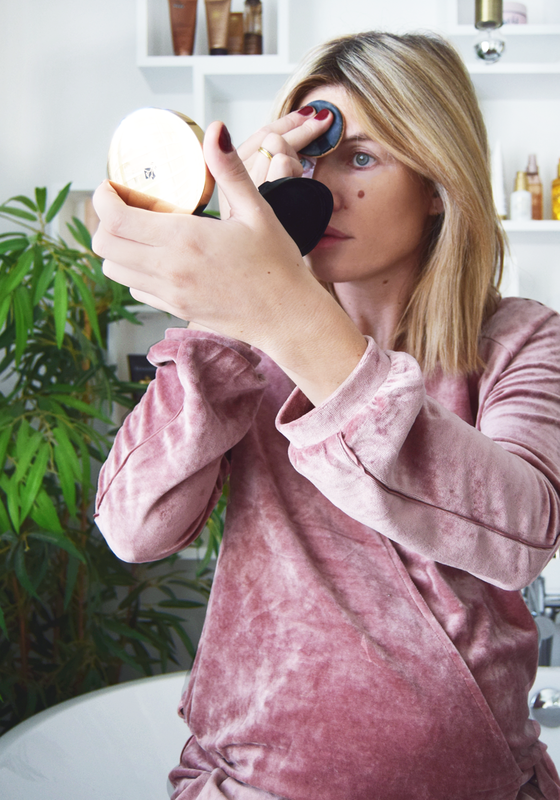 If you love to incorporate an extra interesting touch into your look I'd recommend giving the the new Lancôme Cushion Highlighter in collaboration with Olympia Le Tan, a liquid highlighter in a cushion compact, a try. It enhances the skin with a sheer of light, sculpting your face with a strobing illuminating effect. Or add just a tiny dot of the Lancôme La BASE Pro Hydra Glow Illuminating Make-up Primer on the areas you want to look glowing. As important as starting off with a clean face is finishing it all up with some translucent powder and setting spray. I prefer the Lancôme Silky Loose Powder and a simple facial water spray such as the one by Evian. Curious to find out all about your routines, the products you use daily to hide blemishes and how you prefer your coverage full or light?